China is a complex creation controlled by the Zionist banking cartel. Funded into being through the Wall Street backed Bolshevik Revolution and after 1974, through UN charters holding the developed nations as financially responsible for building up the developing nations. China is a banking front, what are its aims? A Chinese strategist contends that Beijing should break up India into 20-30 independent states with the help of friendly countries like Pakistan, Bangladesh, Nepal and Bhutan. The publication of the article nearly coincided with the 13th round of India-China border talks in New Delhi, on a positive note, with Beijing emphasising the need to build strategic trust and elevate strategic partnership to a new level to include coordination on global issues. 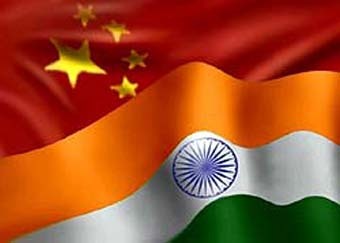 Written in Chinese, the article, If China takes a little action, the so-called Great Indian Federation can be broken up is published in the new edition of the website of the China International Institute for Strategic Studies (CIISS), an influential think tank that advises Beijing on global and strategic issues. According to D.S. Rajan, director of the Chennai Centre for China Studies, Chennai, Zhan Lue, the author of the article, argues that the so-called Indian nation cannot be considered as one having existed in history as it relies primarily on Hindu religion for unity. The article says that India could only be termed a Hindu religious state that is based on caste exploitation and which is coming in the way of modernisation. The writer goes on to argue that with these caste cleavages in mind, China in its own interest and the progress of whole of Asia should join forces with different nationalities like Assamese, Tamils and Kashmiris and support them in establishing independent nation states of their own. In particular, the article asks Beijing to support the United Liberation Front of Asom (ULFA), a militant separatist group in the Indian northeast, to it achieve independence for Assam from India. Furthermore, the article suggests that China can give political support to Bangladesh to encourage ethnic Bengalis in India get rid of Indian control and unite with Bangladesh as one Bengali nation. If this is not possible, the creation of at least another free Bengali nation state as a friendly neighbour of Bangladesh would be desirable for the purpose of weakening India’s expansion and threat aimed at forming a unified South Asia the article argues. The article recommends India’s break up into 20-30 nation-states like in Europe and contends that if the consciousness of nationalities in India could be aroused, social reforms in South Asia can be achieved, the caste system can be eradicated and the region can march towards prosperity. The Chinese strategist suggests that to split India, China can seek support of friendly countries including Pakistan, Nepal and Bhutan. China should encourage Bangladesh to give a push to the independence of West Bengal and recover the 90,000 sq km territory in Arunachal Pradesh, which China calls Southern Tibet, says Rajan who has analysed the article for the Chennai-based think tank. The write-up could not have been published without the permission of the Chinese authorities, but it is sure that Beijing will wash its hands out of this if the matter is taken up by New Delhi, says Rajan. It has generally been seen that China is speaking in two voices its diplomatic interlocutors have always shown understanding in their dealings with their Indian counterparts, but its media is pouring venom on India, says Rajan. Which one to believe is a question confronting the public opinion and even policy makers in India, Rajan says, adding that ignoring such an article will prove to be costly for India.